Andrea's Random Lil' Blog: Makeup Wishlist for Fall! 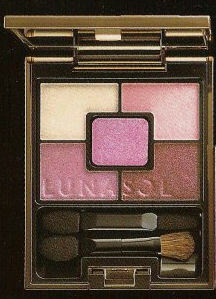 Lunasol Geminate Eyes in 05 Ruby - Lunasol (by Kanebo) is nowadays my favourite brand for eye shadows (and foundation). So smooth and shiny, impossible to resist. This shade would be a nice addition, maybe! Kate Gradical Eyes S in GN-1 -these days I am in love with greens. It goes really well with brown eyes and this new palette looks gorgeous. 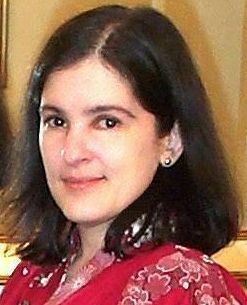 Kate, besides, is not expensive at all and the overall quality is outstanding. Also by Kanebo. T'Estimo new single eye shadows - these are lovely indeed and also quite cheap. You can buy a little case separately and make your own palette. The colours I want are (respectively): DG-01, GY-36, WN-32 and GN-31. Once again, from Kanebo! Shu Uemura Komon limited edition eyeshadows - in Ebi and Sakura. Sakura is the one in the photo. Ebi could be described as a very deep purple with warm wine undertones, from what I could gather from the tiny swatch in the Japanese website! These two together would look great, I think. Shu Uemura is also one of my favourite eye shadow brands, along with Lunasol. Shiseido Maquillage Sparkle Contrast Eyes II - in RS-753. I have a previous release of this palette and love the texture, especially the creamy eye liner that comes with it. This new one includes a nuance powder (top left), a shadow powder (top right), a creamy eye liner (bottom left) and a creamy base (bottom right), as before. The base was quite shiny in the previous version, and looked especially nice when near the brow bones. The Lunasol collection looks great! I need to go see them in person, but I won't because I have too much eyeshadow. 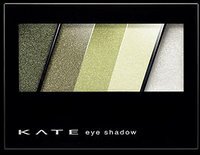 The Kate palettes look great too, although I'm really curious about the new Lavshuca and Visee ones. The Komon collection looks stunning! But I would just put it out on display like art. So many things on my wishlist, but I can't buy anything. Komon is pretty, but I would only get the pressed eyeshadows in Ebi and Sakura and maybe 1 or 2 cream shadows. But I am not sure any more! Lunasol is always the thing for me. My favourites nowadays, so I will probably get that one! Hi! Did you end up getting anything from Lunasol? I am going to buy a black eyeshadow from somewhere, but other than that I am not allowed to buy more eye makeup until I use up what I have. I gave up on the Kate green set, I thought it would be too sheer. I also got the T'Estimo ones and put it in my little palette. However, the colours look rather black than emerald green or burgundy, so, a bit of a disappointment really. I also got the Shiseido MQ one and LOVE it. It's soft and pigmented. Just right!